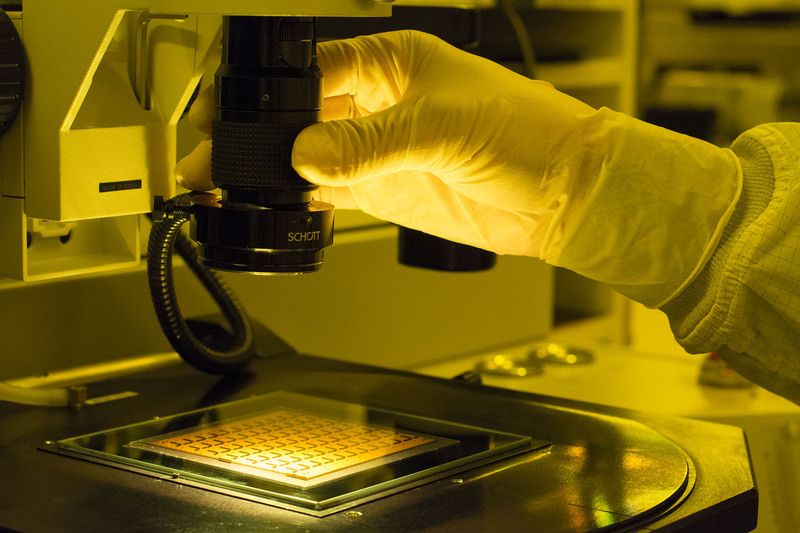 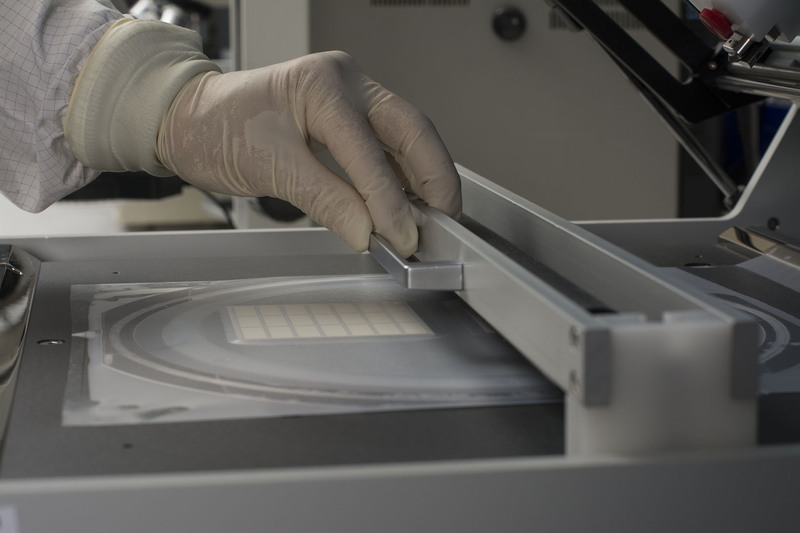 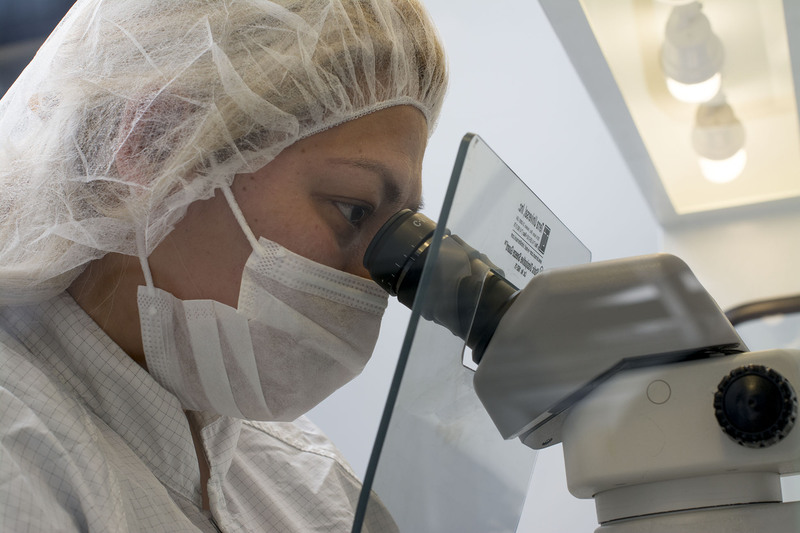 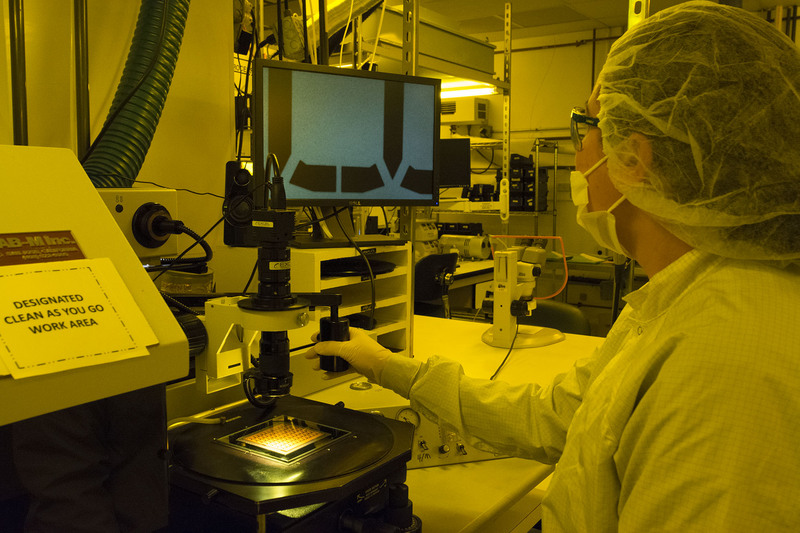 When you choose UltraSource as your thin film manufacturing partner you get more than a world-class design, manufacturing and processing facility at your service, you get to take advantage of the latest innovations in thin film today. 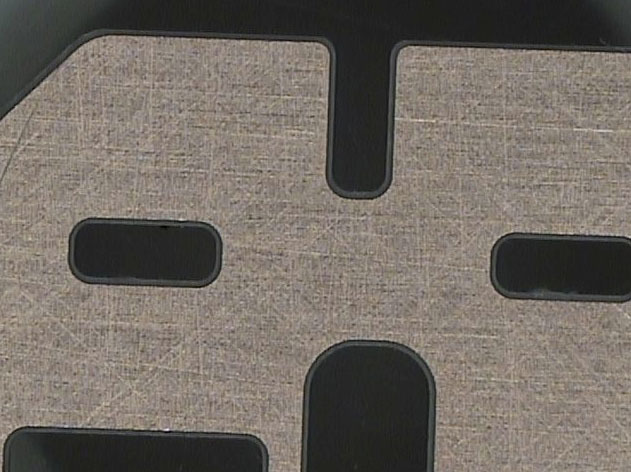 Innovations and technology that will not only help you solve critical size/performance issues, but will also allow you the freedom to integrate the latest and most advanced multilayer thin film techniques and functions into your RF and microwave circuit and component designs. 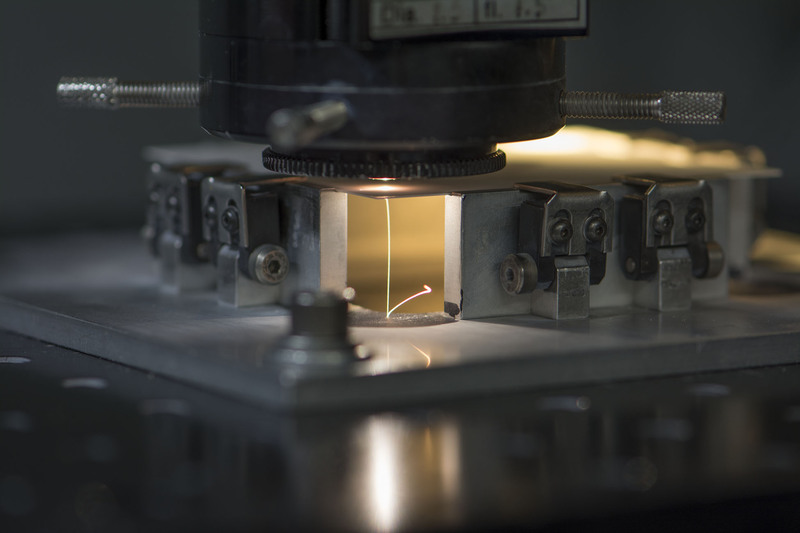 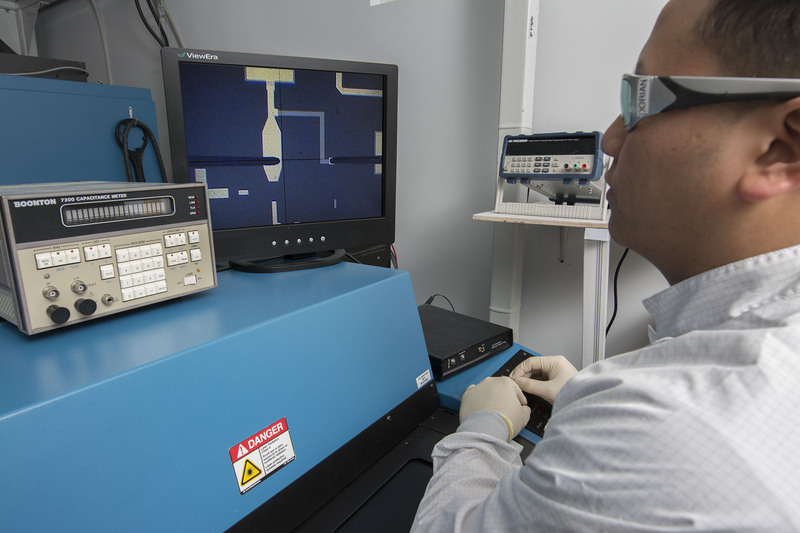 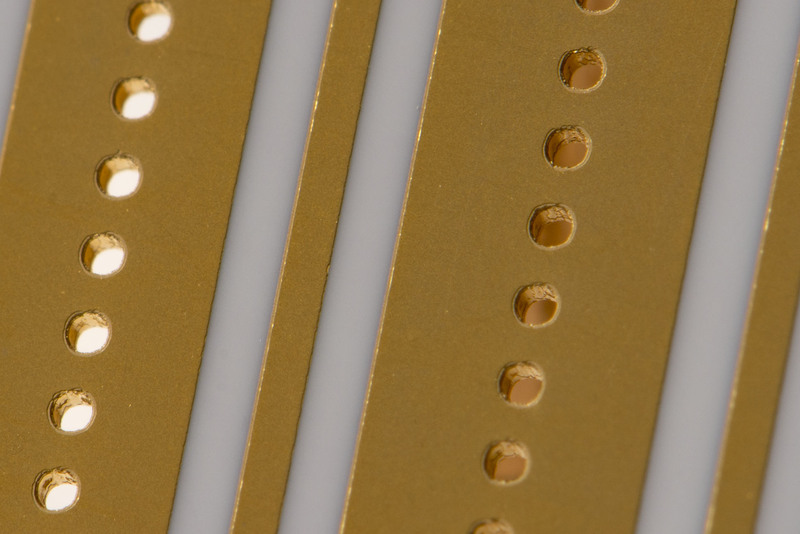 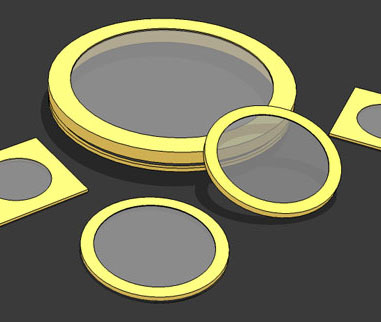 Laser trimming is a process that uses a 20 micron diameter laser to ablate or burn away small portions of an individual resistor, raising the resistance value into the required tolerance value. 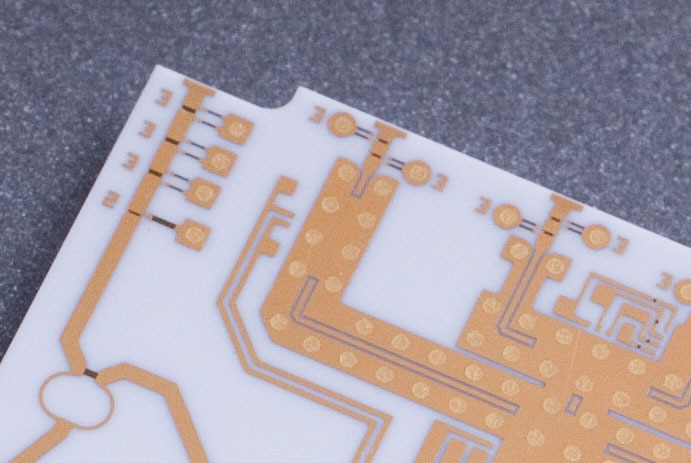 When high reliability bonding is desired, it is ideal to “burnish” the mating surfaces so the epoxy has a mechanical pattern for the epoxy to “key” into. 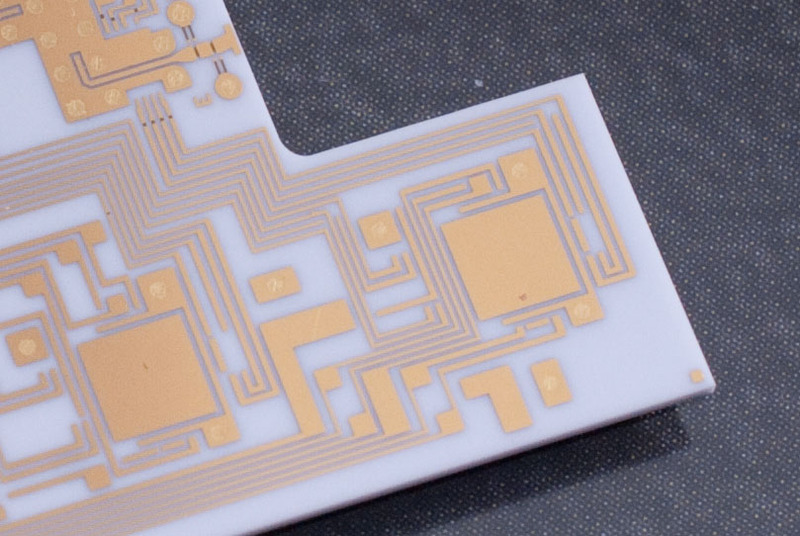 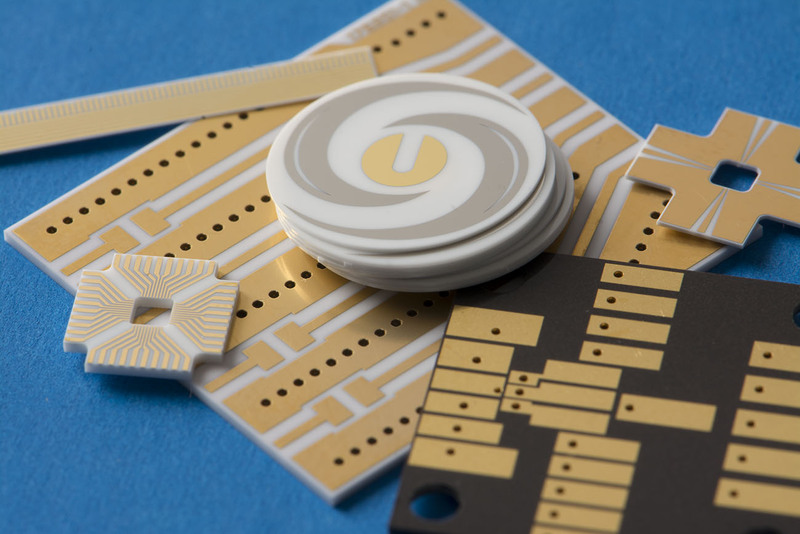 Backside burnishing is a unique backside metallization treatment developed at UltraSource to enhance the adherence of thin film components to carriers by epoxies….